The Rebellious Writing Team received this screenplay from the author free of charge in exchange for an honest review. All opinions are the reviewers, and may not reflect Rebellious Writing as a whole. Rebellious Writing's reviews and star ratings only apply to the work in question, not to every work by the author. 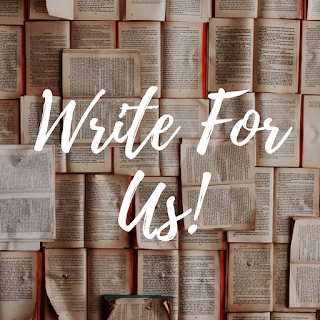 This year, we were approached by Ronald Pisaturo who was wondering if we would read and review his screenplay, The Merchant of Mars. 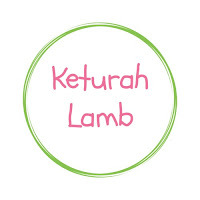 Keturah Lamb and Clare A. took up the challenge, here is what they have to say about it! I chose to read this for two reasons: I'm really interested in scripts and I'm trying to understand the science fiction genre. So this was perfect. It also had a lot of politics, which I loved! 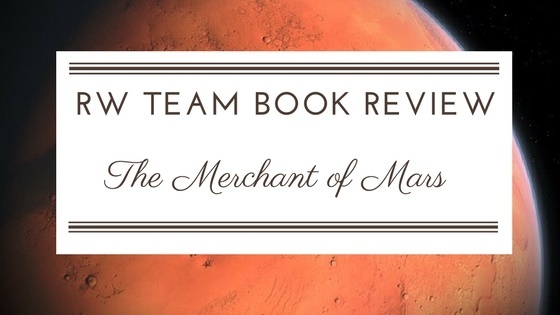 A Merchant of Mars is a story about the United States' president trying to encourage pioneering of mars. And so the offer, "The first man to reach Mars, live on it a year, and return ALIVE shall own Mars" is broadcasted over the world. "Let the race begin," and a race it is... and one man doesn't want the race to happen at all. It's a fantastic journey of a few men striving to make their lives better by taking calculated yet very dangerous risks to build a future of their own. Language: ✰✰✰✰✰. No language! Which actually surprised me as the I could easily see this book being full of swearing considering the story. Abuse: ✰✰✰. Mild violence. Everything was appropriate, but might bother some. The action could be intense at times as there is a man trying to kill the main characters. Also, man is shot and killed. Men lie, plant bombs, or stir others up against the main characters with the intent of war. There is a battle with space ships with shooting and several ships crashing. Lust: ✰✰✰✰✰. Perfectly appropriate, very much like real life. There is a wedding, husbands kiss wives, though it isn't overly graphic, nothing inappropriate. A young couple communicate a lot, and it is clear that they are in love, but their conversation is always clean, and not mushy. Overall: ✰✰✰✰✰. The book did not appear to be Christian, though it was clean. A character in the book seemed to be a very strong New Spiritualist, but his beliefs are not shown to be good. I really loved this and would love to see it be made into a movie! The action felt perfectly paced, the (good) characters were all likable and balanced. I was able to grasp the scientific stuff (mostly) and the script was easy enough to follow. Though, one thing... I didn't realize until close to the end that EXT. stood for exterior and INT. stood for interior when the script was describing scene locations. But I think that was just my bad for not catching on. I just skimmed over those abbreviations and was able to understand the story perfectly. Language: ✰✰✰✰✰. It was fabulous reading a book with no swearing in it! You help the good guys win. Abuse: ✰✰✰. There is some fighting, death, and people trying to kill each other. Some intense scenes that might get your heart racing. Lust: ✰✰✰✰✰. There is a mildly suggestive comment. Mild kissing. But those are all appropriate things! Overall: ✰✰✰✰, it is so clean and a fun read. It would make a great movie. Frankenstien is telling us it's time to eat. The whole idea! It drew me in and I was very interested to see what would happen. All the characters. I love the support they have for each other! The whole sci-fi theme. It was very well done. That we didn't get more of Farrell's kids: Jill, Bonnie, and Davey. That this isn't a movie! Ronald Pisaturo is an author, former actor and Objectivist philosopher who is living in Southern Utah. Besides writing screenplays, he has also published two philosophical works. More information can be found at his website (http://www.ronpisaturo.com) and he can be found on Goodreads. You're welcome, Keturah. Mr. Pisaturo also thanks you both for the reviews. This sounds so interesting, great reviews, y'all! Great job, y'all. Sounds like a great screenplay.